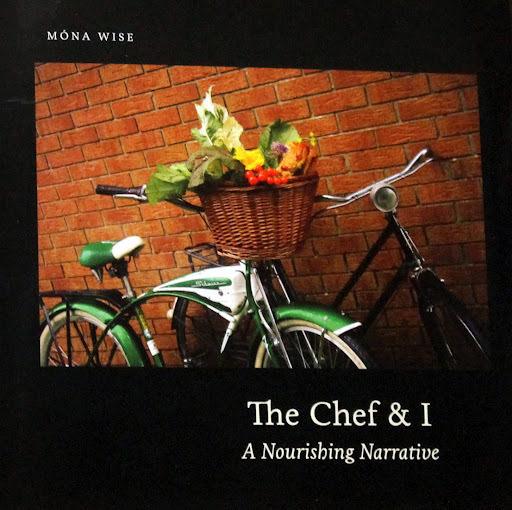 “The Chef and I, A Nourishing Narrative” a new book by Móna Wise, who is, among other things, a Wife, Mum, Food writer for The Sunday Times magazine, Food Blogger, and now author. It is an autobiography as well as a cookbook, and is one of those “reads” which, once you start, you will find it difficult to put down. She tells her life story in such a way, that you imagine you are sitting across the kitchen table, with a cup of tea, listening to her intently. Whilst coming up with a title for this post, I remembered the quote on the back cover of the book, and, with kind permission from Móna herself, I was allowed to use it. Thank you! 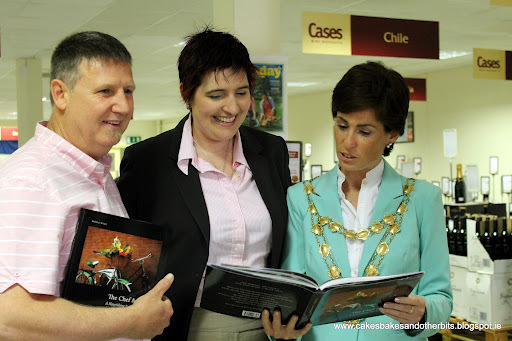 The book, which was self-published, was officially launched in Galway, on May 31st, at Cases Wine Warehouse, by the Mayor, Her Honour Ms. Hildegarde Naughton. 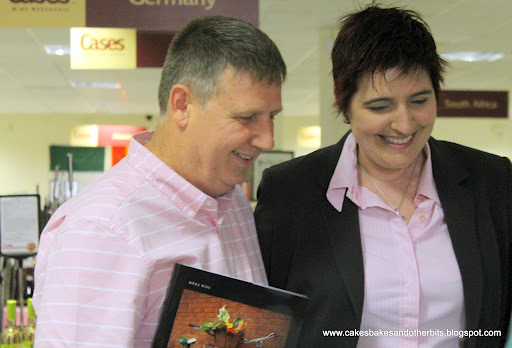 Friends and family gathered to wish her well on her first book venture. I hear that there are several more on the way. It is available to buy on-line from Kenny’s Bookshop. There was gorgeous food and wine, (all recipes for the dishes are in the book), plenty of chat and laughter, and a great night was had by all. As usual, I took plenty of photographs, so here are just a few. Congratulations, Móna and Ron on a great achievement, and thank you for a lovely evening. 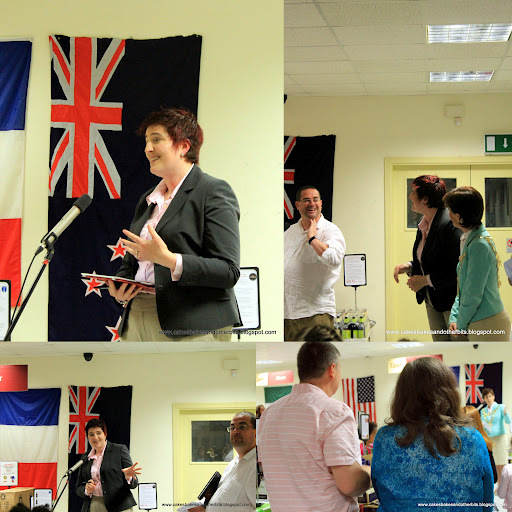 Top Left – Móna giving her speech, TR – Dr. John Kenny, Course Director- BA Connect – Creative Writing at NUIG, Mona & The Mayor of Galway. Bottom Left – A Very Proud Husband, Ron, and Móna’s Mum looking on. The table was filled with great food. 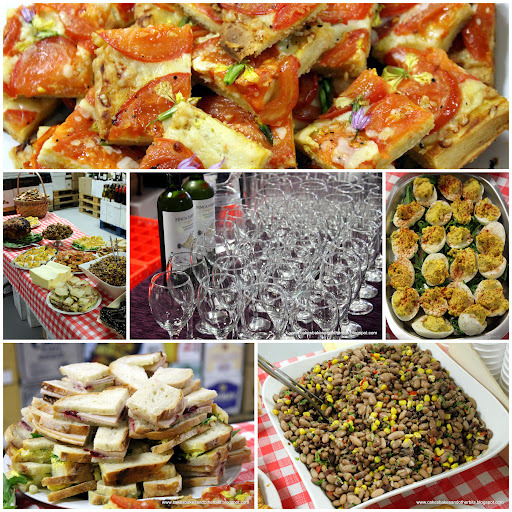 Cheese Tart, Deviled Eggs, Oldfarm Pork Sandwiches and a Bean Salad. And Wine too! 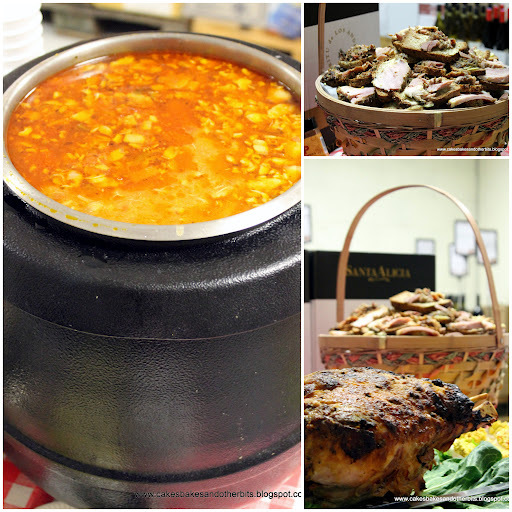 Holiday Ham, with a Mustard glaze, again from Oldfarm, and a copious quantity of Chicken Tortilla Soup, made with stock from one of Móna’s Australorp Chickens. Top Left: Síle Nic Chonaonaigh, TV presenter on TG4’s Garraí Glas, with Margaret O’Farrell, co-owner of Oldfarm. 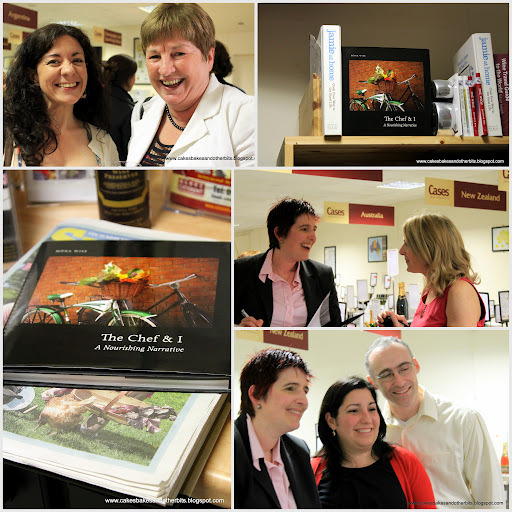 Middle Right – Móna chatting to Sheila Kiely, author of Gimme The Recipe. Bottom Right: Móna, with Lily Ramirez-Foran and her Husband Alan Foran. Thank you Colette! 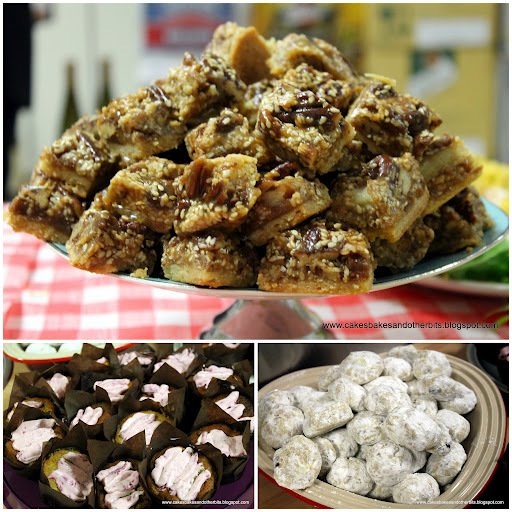 I did not get one photo of the food for the evening and you did such a lovely job of capturing all this! Thank you and John both for coming to Galway and squeezing in time for our event. I have such brilliant memories of the evening and am delighted to see your recap right here! Thank you for your kind comments, Móna. When I was able to finalise my plan to visit Galway, I was delighted that it would include being able to attend the launch. A lovely evening all round. Lovely post Colette. I would so love to have been there but just couldn't make it. You've captured the launch well & now I really must order a copy of Mona's book! Thank you Dee. Such a pity you couldn't go, maybe for the next one 🙂 You will love the book, it is a lovely read, and great recipes too. Fantastic post Colette. Your photos really captured the mood of the evening. I hope you had a lovely time in Galway. Thank you, Amee. We had a great time, and hope return soon. Lovely post Colette, looks like you all had a great evening so sorry I wasn't able to make it! Bought the book for kindle recently & devoured it in one sitting, will definitely be buying the hard copy too!